The remnants of prehistoric monuments still dot the modern British landscape. Around 4,500 years ago, people gathered at these sites or in nearby communities for annual winter feasts where the main delicacy on the menu was pork. Chemical analysis of the pig bones left behind after feasts at four major henge sites in southern Britain reveals a surprisingly far-flung network of Neolithic travel. Mount Pleasant Henge is a stone circle about 70km (44 miles) southwest of Stonehenge, near the coast of the English Channel. West Kennet Palisaded Enclosures is a set of circular ditches and palisades near the famous stone circle at Avebury, about 39km (24 miles) north of Stonehenge, while Marden Henge, between Avebury and Stonehenge, is a 14-hectare site surrounded by ditches and embankments that once held its own circle of standing stones. Durrington Walls, a large settlement (which eventually built its own stone circle) just 3km (1.86 miles) northeast of Stonehenge, was closely linked with the iconic monument itself. 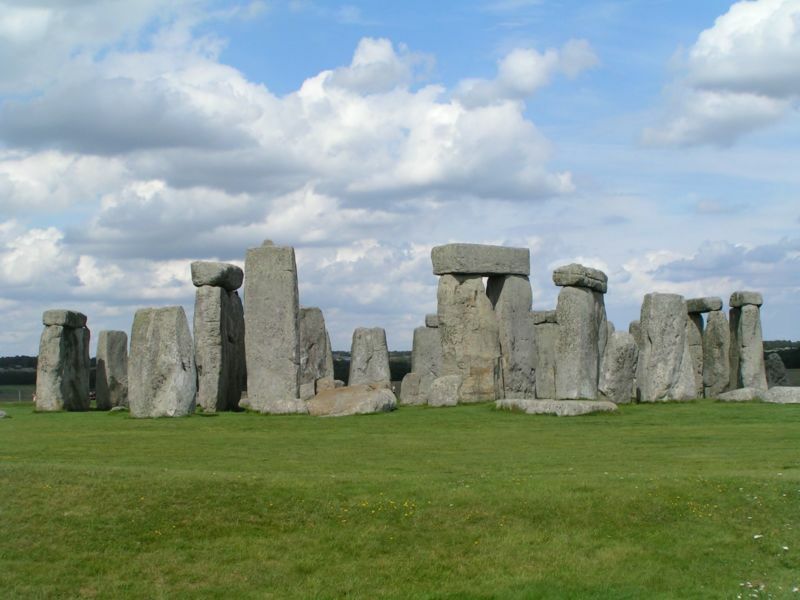 "Stonehenge is for the dead, Durrington Walls for the living: the place of the builders of Stonehenge and the places of Stonehenge's feasts," archaeologist Richard Madgwick of Cardiff University told Ars Technica. Archaeologists have unearthed the remains of ancient feasting at all four sites: broken ceramics, discarded stone tools, and the bones of butchered pigs. Those 4,500-year-old leftovers suggest that these sites were hubs linking a Neolithic social network that connected far-flung communities from Scotland to Wales.